Before we discuss the best practices though, be reminded that putting the keyword in the title tag helps that particular page in ranking higher in SERPs (search engine results pages). Google also uses your title tag as the search snippet link title. The link that Google displays, however, varies from one user to another because these are query-dependent. You might have already noticed the slight variationsÂ on the result based on two different search terms despite displaying the same website. Aside from the slight modification, Google also displays page titles differently depending on which device used in searching. Mobile title tags tend to be longer than desktop title tags, but Google offers no explanation why. Thereby, the key is optimizing your title tag based on how Google will display it. There are no formulas although there are best practices. The title tag must be relevant to the words on the page; title tags should be page-dependent. A highly relevant title page maximizes both its usability and ranking performance. It also increases the click-through satisfaction rate. NOTE: The title-text relevance will be useless if the page contains thin content. The title tag should include the actual words that people use in searching. Nonetheless, it should contain the keywords or key phrases. Choose those terms that have value and higher search volumes. There should be a unique title tag for every page. Make sure that each title page is between seven and eight words. Anything beyond that is considered as excess. The keyword should appear in the first 8 words. A keyword in the title is enough. Don’t keyword stuff your title. Consider a long-tail keyword approach. Don’t spam! Stick to 55 characters (maximum of 64 characters) if you want your title page be shown completely in all devices. A title page may include a one-word call to action (i.e. hire, buy, learn, etc.). Nevertheless, the call to action should reflect the intent behind the search exactly. For specific pages, a title tag can be changed for anchor text diversification since the title is often used as an anchor text when backlinking. As much as possible, don’t sensationalize the title. Instead, make it functional. Write for humans, not for search engines. The best practices that we have known before are no longer the best practices that we know today. However, the basics remain. With all these, the title tag alone presents tremendous opportunities to rank your website better on SERPs. 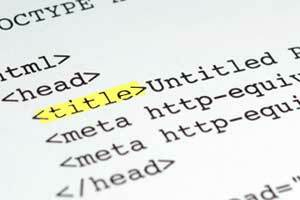 So, better familiarize yourself with these best practices before you write your next title tag. Bottom-line, know what Google hates and loves when it comes to putting title tags to go along with your content. Jeric is a Filipino blogger and an online marketing enthusiast. Currently working at Optimind Technology Solutions, a digital marketing agency in the Philippines that provides different services including SEO, web design, mobile app development and much more! This entry was posted in Marketing, Search Engine Optimization and tagged The Quest for the Perfect Title Tag that Google Loves to Display!. Bookmark the permalink.